I have two line layers (roads and contours in this example) and I would like to split the roads layer every time it crosses/intersects a feature on the contour layer. 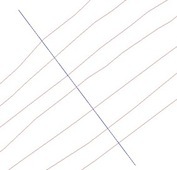 I can't seem to find a tool that does this, as the intersect tool is expecting a polygon for at least one of the layers. It also appears that GRASS' v.clean only works on a single layer. It seems like a simple task, but I'm at a loss! 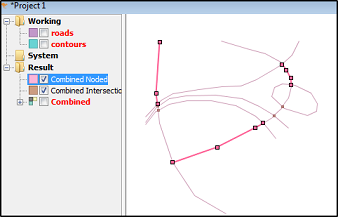 However, if I do the exact same thing with the complete dataset, no roads are split. What am I doing wrong here? 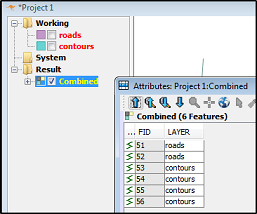 I should note that all features in both the road and contour table are LINESTRINGS. I would do the job with OpenJUMP and the Noder tool. This tool will transform all the attributes from the source layers and add a new attribute "LAYER". That will be useful later. 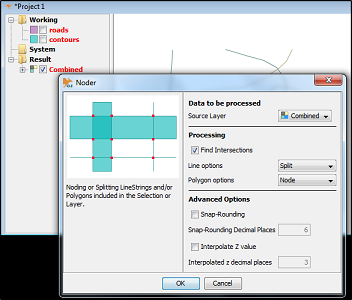 Next use the Noder tool from the menu "Tools - Edit Geometry - Noder.."
Lines will be noded and split. A few split roads selected as a proof. 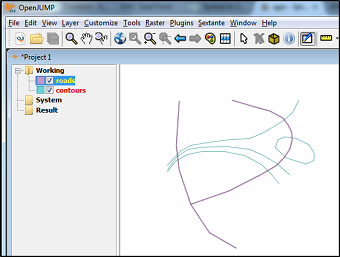 Finally you can extract the contours and roads back to their own layers by utilizing the LAYER attribute. 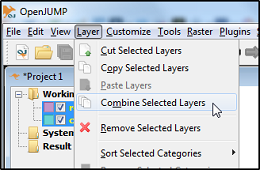 OpenJUMP has an "Extract Layer by Attribute" tool in the Edit menu for this purpose. 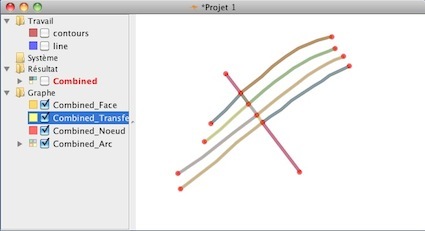 Note that as of QGIS 2.8, there's a new tool in Processing Toolbox called "Split lines with lines" that does exactly this task and works beautifully. You can use Python with shapely , with PyQGIS or directly with OpenJump GIS or PostGIS as mnt.biker says. and save the resulting shapefile with Fiona. 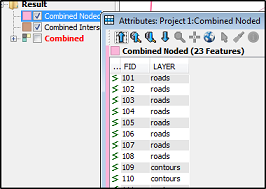 And you can use a spatial index with the module Rtree to speed things up. 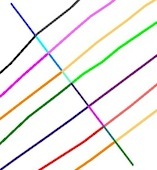 3) but the most comprehensive solution is to compute the Topological Planar Graph of the combined layers. 3) and you have the nodes, the faces and the arcs (edges) of the Graph as as the result , all with the corresponding attribute values preserved. Not the answer you're looking for? 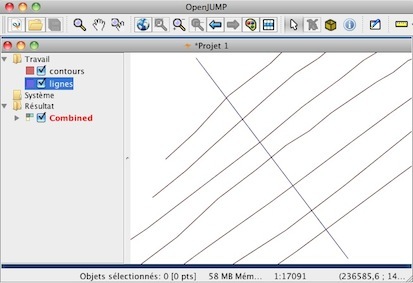 Browse other questions tagged qgis vector geoprocessing openjump or ask your own question. 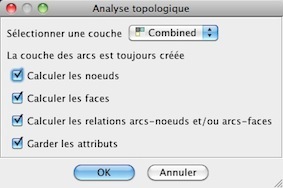 Avoiding labeling features if overlapped by another layer in QGIS? Creating vertex where two lines meet using QGIS?